About: APA is an independent, not-for-profit educational organization that provides leadership in the development of vital communities. The Planning Foundation of APA funds scholarships and community equity programs and new initiatives like special research projects. You can learn more about this professional organization for planners at http://www.planning.org/apaataglance/. They offer student memberships and early career development. They may even have internship opportunities. Eligibility: Women or minority (African American, Hispanic American, or Native American) students enrolled in a Planning Accreditation Board (PAB) planning program; US citizen; planning program who are citizens of the United States; intend to pursue careers as practicing planners in the public sector (which includes local, state and federal government and non-for-profit careers); and are able to demonstrate a genuine financial need. Undergraduate or Graduate students can apply. Requirements: Personal Statement, APA Financial Aid Application, 2 Letters of Recommendation, Copy of Acceptance Letter from PAB-accredited planning graduate program, if incoming student send written verification or copy of school’s average cost for one academic year of graduate study, Resume, notarized Statement of Financial Independence (Optional), Official (sealed) Transcripts of collegiate and graduate academic work. 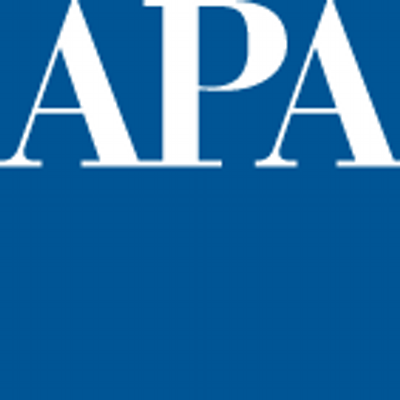 Undergraduates may need to contact APA regarding other required documents. Note: All original application information must be received in the APA Chicago office by April 30th. If forwarded via FEDEX or similar courier service the delivery must be made to APA by April 30th. Faxed or electronic documents will not be accepted. Be sure to check out ALL their scholarships and fellowships at https://www.planning.org/scholarships/apa/. They have different eligibility requirements that you may qualify to apply.